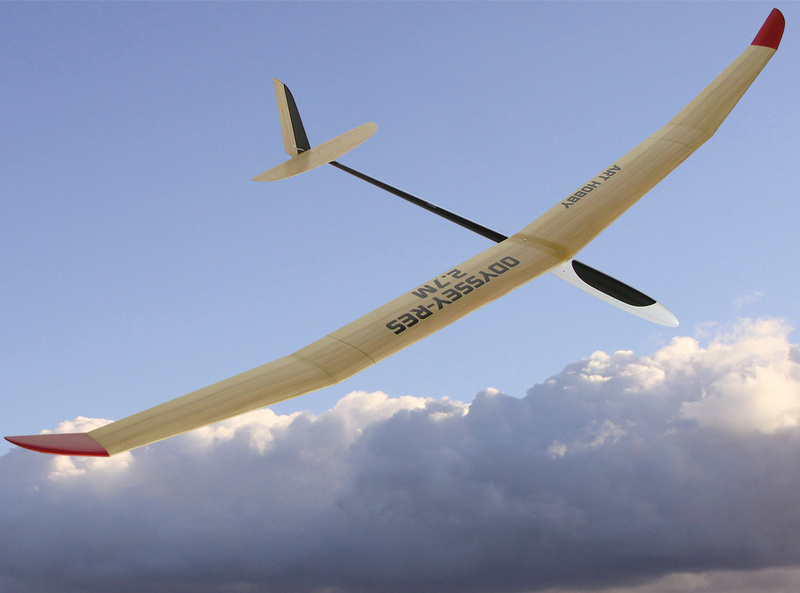 It features SD7080 airfoil that was specially modified for this sailplane. The benefits of that are extended thermal duration time in very low lift conditions and a wide range of speed. Odyssey wing could be built with spoilers or without if desired by the builder. - 2.4GHz friendly composite fuselage pod made of few layers of fiber glass with glass roving and carbon fiber reinforcements for extra strength. - Removable canopy for rapid access to the radio components. - V-shaped wing saddle with molded in nuts for the wing mounting screws. 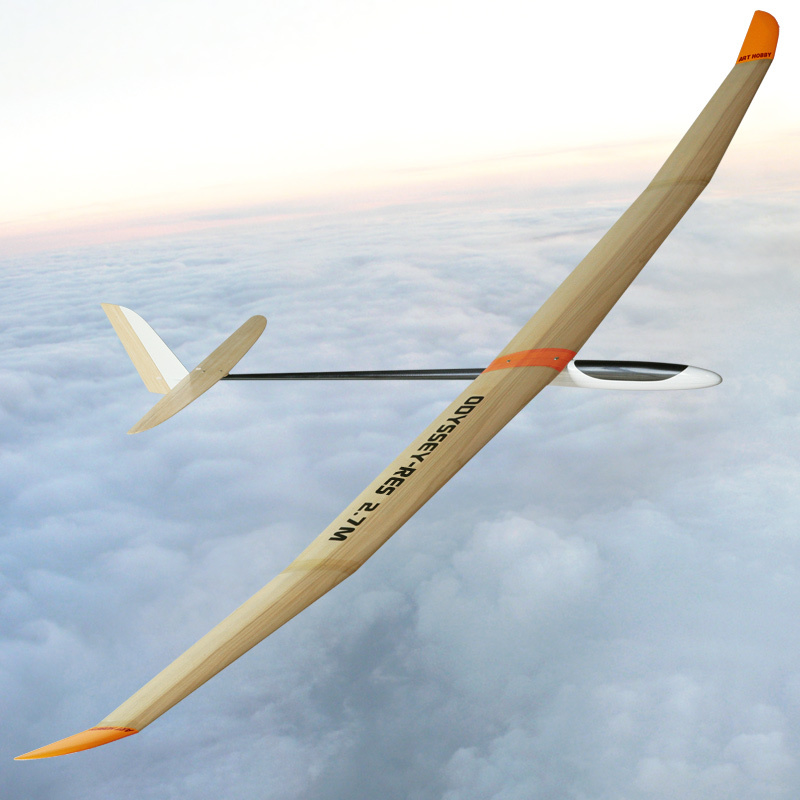 - Wing cores precision cut from white polystyrene foam, and the black poplar veneer bonded to the foam with aircraft industry grade epoxy in high pressure molds for perfect airfoil fidelity and a warp-free wing. 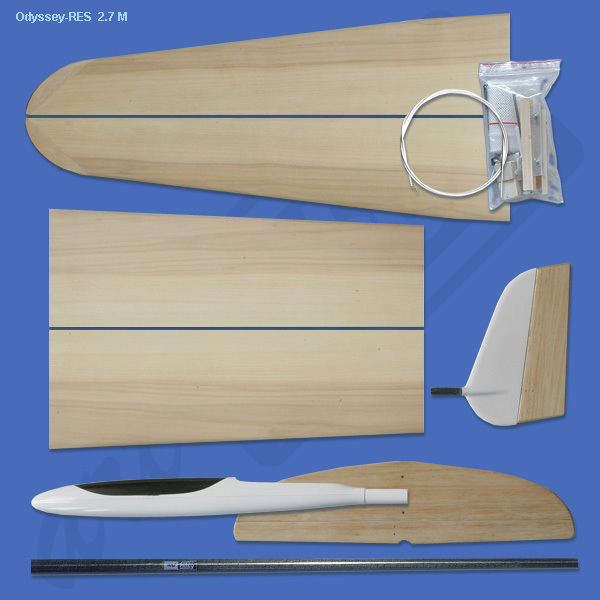 - horizontal stabilizer with pre-hinged elevator and rudder made from balsa and fully laminated with light weight fiber glass cloth for durability and stiffness. T-tail version is also available. 2700 mm / 106.3 in. ~1400 mm / 55.2 in. 640 g / 22.4 oz.